You are responsible for your own compliance with this Policy. You are also responsible for any use or misuse of the Service that violates this Policy by anyone else you permit to access the Service (such as a friend, family member, or guest) with one exception: In cases where you permit others to access your MYJEC.NET-provided, WiFi-identified Internet Service with their own login information, those users are responsible for complying with all then-current terms and policies that apply to their access..
MYJEC.NET recommends against enabling file or printer sharing unless you do so in strict compliance with all security recommendations and features provided by MYJEC.NET and the manufacturer of the applicable file or printer sharing devices. Any files or devices you choose to make available for shared access on a home LAN, for example, should be protected with a strong password or as otherwise appropriate. In all cases, you are solely responsible for the security of any device you connect to the Service, including any data stored or shared on that device. It is also your responsibility to secure the Customer Equipment and any other Premises equipment or programs not provided by MYJEC.NET that connect to the Service from external threats such as viruses, spam, bot nets, and other methods of intrusion. What uses and activities does MYJEC.NET prohibit? access and use the Service with anything other than a dynamic Internet Protocol (“IP”) address that adheres to the dynamic host configuration protocol (“DHCP”). You may not configure the Service or any related equipment to access or use a static IP address or use any protocol other than DHCP unless you are subject to a Service plan that expressly permits you to do so. MYJEC.NET reserves the right immediately to suspend or apply other interim measures in its sole discretion to your Service or terminate your Service account and terminate the Subscriber Agreement if you violate the terms of this Policy or the Subscriber Agreement, or if anyone else you permit to access the Service violates this Policy. In that event, MYJEC.NET also reserves the right to downgrade, suspend, or terminate other MYJEC.NET services you receive. MYJEC.NET does not routinely monitor the activity of individual Service accounts for violations of this Policy, except for determining aggregate data consumption in connection with Section IV of this Policy. However, in the company’s efforts to promote good citizenship within the Internet community, it will respond appropriately if it becomes aware of inappropriate use of the Service. MYJEC.NET has no obligation to monitor the Service and/or the network. MYJEC.NET and its suppliers reserve the right at any time to monitor bandwidth, usage, transmissions, and content in order to, among other things, operate the Service; identify violations of this Policy; and/or protect the network, the Service and MYJEC.NET users. MYJEC.NET prefers to inform customers of inappropriate activities and give them a reasonable period of time in which to take corrective action. MYJEC.NET also prefers to have customers directly resolve any disputes or disagreements they may have with others, whether customers or not, without MYJEC.NET’s intervention. However, if the Service is used in a way that MYJEC.NET or its suppliers, in their sole discretion, believe violates this Policy, MYJEC.NET or its suppliers may take any responsive actions they deem appropriate under the circumstances with or without notice. These actions include, but are not limited to, temporary or permanent removal of content, filtering of Internet transmissions, and the immediate suspension or termination of all or any portion of the Service. Neither MYJEC.NET nor its affiliates, suppliers, or agents will have any liability for any of these responsive actions. These actions are not MYJEC.NET’s exclusive remedies and MYJEC.NET may take any other legal or technical actions it deems appropriate with or without notice. MYJEC.NET reserves the right to investigate suspected violations of this Policy, including the gathering of information from the user or users involved and the complaining party, if any, and examination of material and data on MYJEC.NET’s servers and network. During an investigation, MYJEC.NET may suspend the account or accounts involved and/or remove or block material that potentially violates this Policy. 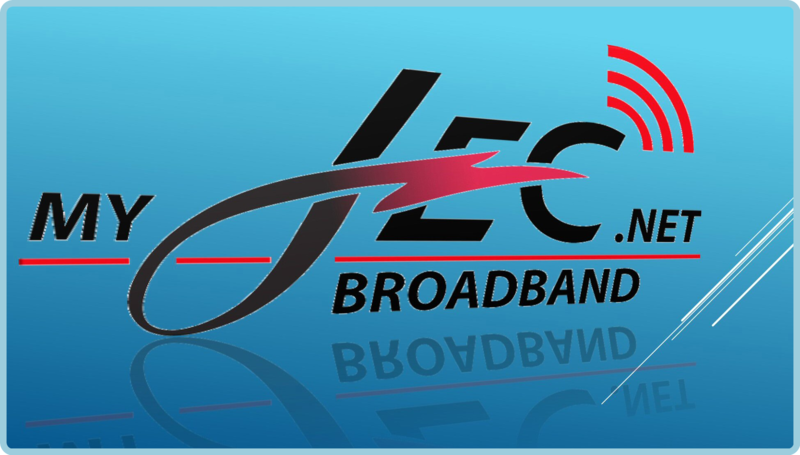 You expressly authorize and consent to MYJEC.NET and its suppliers cooperating with (i) law enforcement authorities in the investigation of suspected legal violations, and (ii) and system administrators at other Internet service providers or other network or computing facilities in order to enforce this Policy. Upon termination of your Service account, MYJEC.NET is authorized to delete any files, programs, data, email and other messages associated with your account (and any secondary accounts). How does MYJEC.NET communicate with customers about copyright? MYJEC.NET is committed to complying with U.S. copyright and related laws and requires all customers and users of the Service to comply with these laws. Accordingly, you may not store any material or content on, or access, share or disseminate any material or content over, the Service (or any part of the Service) in any manner that constitutes an infringement of third party intellectual property rights, including rights granted by U.S. copyright law. MYJEC.NET complies with the Digital Millennium Copyright Act and provides a method for copyright owners to communicate information about alleged infringements to us, and for us to inform our customers about them. You may receive notices or alerts if your Service account is identified by a copyright owner as having been used in connection with acts of alleged copyright infringement. What is MYJEC.NET’s DMCA policy? Owners of copyrighted works who believe that their rights under U.S. copyright law have been infringed may take advantage of certain provisions of the Digital Millennium Copyright Act of 1998 (the “DMCA”) to report alleged infringements to us. In accordance with the DMCA and other applicable laws, MYJEC.NET also maintains a policy to terminate the Service, in appropriate circumstances, provided to any customer or user who is a repeat infringer of third party copyright rights. MYJEC.NET’s repeat infringer policy includes graduated or escalated alerts of alleged infringements, acknowledgement of alerts, suspension of the Service, the application of other interim measures determined in its sole discretion to the Service, and, in appropriate circumstances, termination of the Service (and other services provided by MYJEC.NET to you). MYJEC.NET also reserves the right to terminate the Service at any time with or without notice for any affected customer or user who MYJEC.NET, in its sole discretion, believes is infringing any copyright or other intellectual property rights. What can customers do if they receive a DMCA notification of alleged infringement? If you receive a DMCA notification of alleged infringement as described above, and you believe in good faith that the allegedly infringing works have been removed or blocked by mistake or misidentification, then you may send a counter notification to MYJEC.NET. Upon MYJEC.NET’s receipt of a counter notification that satisfies the requirements of the DMCA, MYJEC.NET will provide a copy of the counter notification to the person who sent the original notification of claimed infringement and will follow the DMCA’s procedures with respect to a received counter notification. In all events, you expressly agree that MYJEC.NET will not be a party to any disputes or lawsuits regarding alleged copyright infringement. If a notification of claimed infringement has been filed against you, you can file a counter notification with MYJEC.NET’s designated agent using the contact information shown above. All counter notifications must satisfy the requirements of Section 512(g)(3) of the U.S. Copyright Act.